Mascara Area, Algeria, Summer 1961. Typical French Fort for a small harka unit. This unit counted 48 "harkis", Arab origin, fighting along the French troops. This fort was above the small vilage of M'Zaourat of about 50 souls. 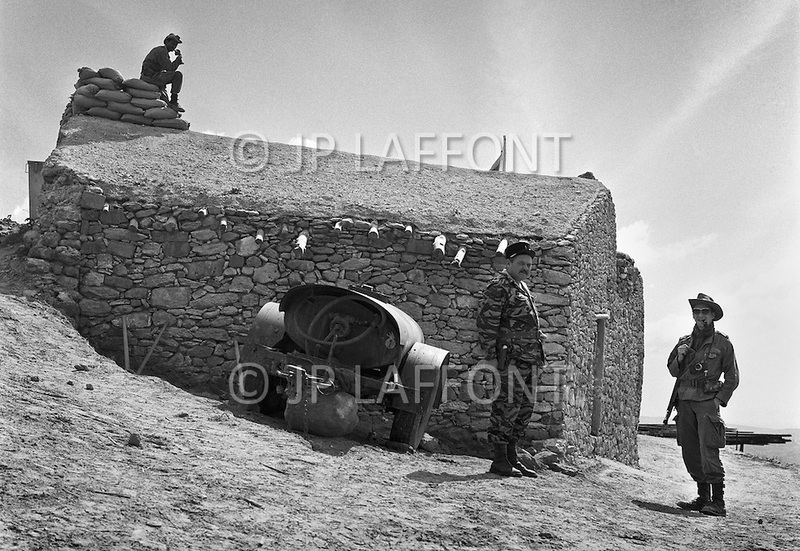 The fort construction was made by disciplinary section of First Regiment of Foreign Legion. All content © 2017 by Jean-Pierre Laffont.